Markets.com is an international broker offering CFDs and foreign exchange tradeing. The Forex broker is represented in more than 100 countries and, according to his own statements, is among the most growing brokers. Markets.com joined GFC Markets until 2010 and has enjoyed great popularity for years. Most traders agree on the great importance of high security and only want to deal with a serious broker. Like many other well-known brokers from the industry, Markets.com is headquartered on the Mediterranean island of Cyprus. The online broker Markets.com is managed by a very experienced company, Safecap Investments Ltd. As a result of the EU membership of Cyprus, the broker is subject to the strict controls and regulations of the European Union. Markets.com is regulated, certified, and regularly checked by the Cypriot Securities and Exchange Commission (CySEC) under license no. 092/08. In addition, the operator SafeCap is a member of the Investor Compensation Fund and provides deposit protection. This hedges the trader’s deposits up to a maximum of EUR 20,000 against a potential loss. The entire payment transaction between the customer and the broker is SSL-encrypted. All offered payment methods are certified by the credit card companies. Regarding the security and credibility of Markets.com, traders need not worry. Unlike many other vendors, Markets.com can not only deal with the foreign exchange but also CFDs. The commercial offer is therefore extremely versatile and the broker is also suitable for beginners without restrictions. All accounts at Markets.com are free of charge and the broker does not charge commission fees for CFD trading. Only in the case of equity CFDs, the broker takes a commission of 0.1 percent. In the area of CFD trading, traders can trade 15 different commodities, various precious metals, 19 indices and approx 70 shares. Overall, the Forex trade includes 50 currency pairs. Among these are all common and some exotic currencies. In the case of Forex trading, the maximum leverage that traders can use is 1:200. When trading with CFDs, the traders can use a maximum leverage of 1: 100. The minimum margin is 0.5 percent. For the variable pairs of foreign exchange, the variable spread is between 2.2 pips and 2.8 pips. One of the most popular, EUR/USD pair, is at fixed spread of 3 pips. In total, the broker offers its customers 3 different account types to choose from. These differ with respect to the conditions and offer the customer different functions. The mini account can be opened with a deposit of 100 euros. For the standard account, a minimum deposit of 2,500 euros is required. The advantageous premium account can be opened with a deposit of at least 20,000 euros. For normal trading, the mini account is perfectly adequate. All accounts benefit from 24-hour support and the various video learning units. Customers with a standard or premium account also benefit from a premium analysis and receive news via SMS. Traders who open a premium account have access to premium customer support. On the trading days, professional service staff is available to the traders around the clock. They speak several languages and help with issues and questions. Markets.com’s customer support can be contacted in a variety of ways. Traders can contact the broker’s support directly via email, phone or even live chat. German brokers can be advised promptly by a German-speaking support staff. Traders are given free access to extensive training resources at Markets.com. The training material is especially beneficial for beginners and explains the Forex and CFD trading in detail. Advanced as well as professionals can benefit from the many useful information and can improve their trading strategies. The versatile training offer includes webinars, video training, and an extensive eBook. Fundamental and chart analysis is also available. In addition, all Markets.com customers are provided daily with interesting news on Forex trading and various trading signals. 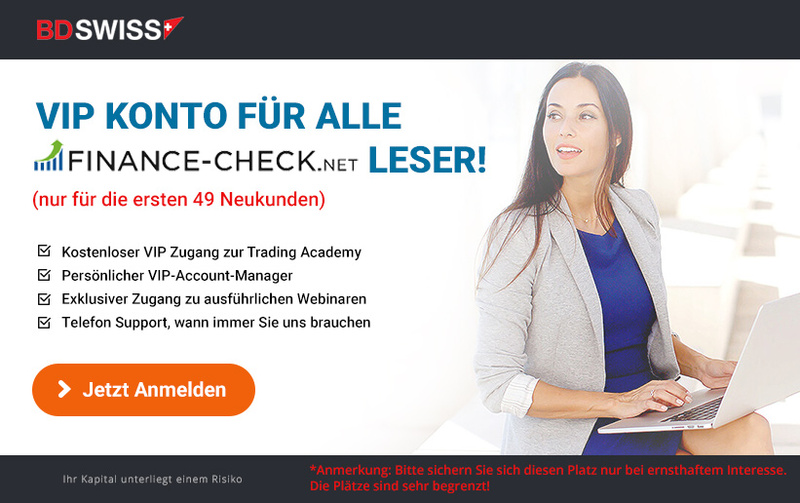 As a trading platform, the experienced broker uses the proven Metatrader 4. The software has established itself as a standard for many brokers for years. The platform is suitable for beginners as well as for advanced and professional users and offers the traders all necessary features. 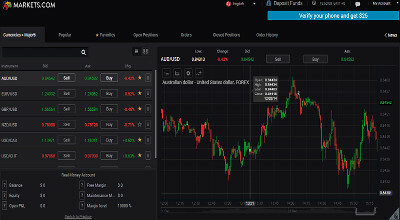 The popular trading platform has a very user-friendly design and is very easy to use. The Metatrader 4 is very clear and can be fine tuned individually to the preferences of the trader. In addition to all the important standard features, Metatrader 4 also offers the Expert Advisors. This feature can be used to develop automated trading systems or to integrate external systems. In addition, traders can also use Sirix WebTrader to take action. The platform is web-based and does not have to be installed. Particularly interesting is the social trading of the platform. Customers gain access to the live trades from other users and can imitate their successful strategies without problems. Customers of Markets.com, who prefer to trade on the go, can download the free smartphone app. The application can be found in the official stores and work on Android and iOS smartphones. The online broker enjoys a very high reputation and is used by many traders worldwide. The large selection of trading products and the professional trading platform are the main focus of this broker. Customer support is also fully convincing and can help with all issues and questions. Thanks to the extensive training material, beginners and advanced learners can develop their skills further free of charge. 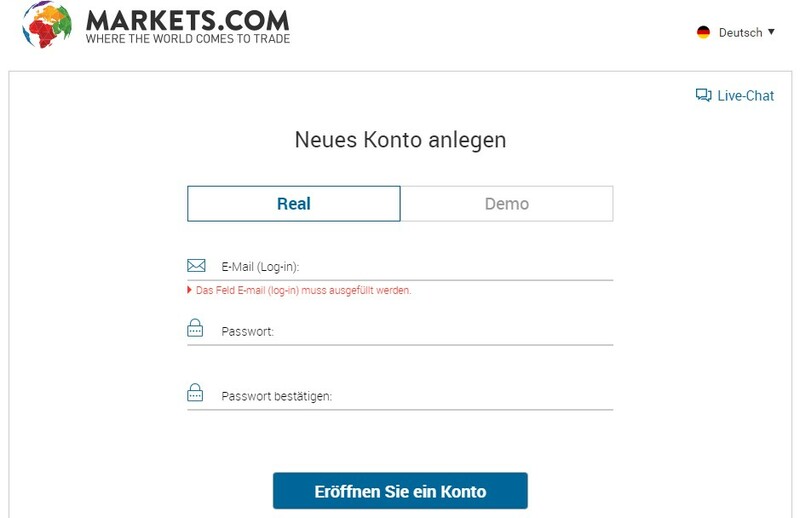 The demo account gives potential user a very detailed insight into the trading platform. Markets.com is not only one of the most popular and experienced brokers but is also a credible and secure provider.